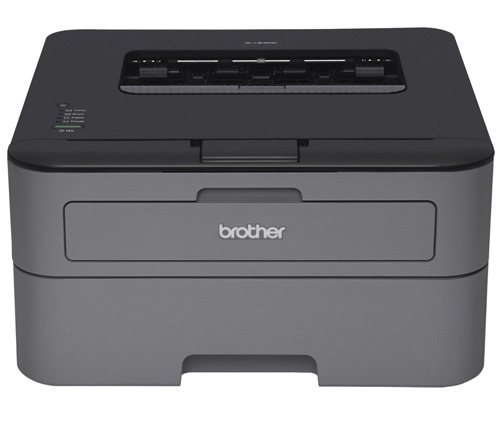 The Brother HL-L2300D is a reliable, affordable monochrome laser printer for personal or home office use. The Brother HL-L2300D is a reliable, affordable monochrome laser printer for personal or home office use. This desk-friendly, compact printer with an up to 250-sheet capacity tray connects with ease to your computer via the Hi-Speed USB 2.0 interface and prints crisp black and white documents at up to 27ppm. Automatic duplex printing helps save paper. High-quality output. With a print resolution up to 2400 x 600 dpi, the HL-L2300D produces professional output with crisp text and excellent graphics. Convenient paper handling. The Brother HL-L2300D can meet all of your printing needs via an adjustable, 250-sheet capacity paper tray that handles letter or legal size paper and a manual feed slot for printing envelopes and letterhead.